My time at Harvard is over. I graduated a few weeks ago, leaving Divest Harvard behind and moving on to the next phase of my life. I wrote my last reflection on Divest Harvard and the evolution of the campaign over the last three years. From a group of three students to a movement of over 70,000–how could I graduate without one last article! 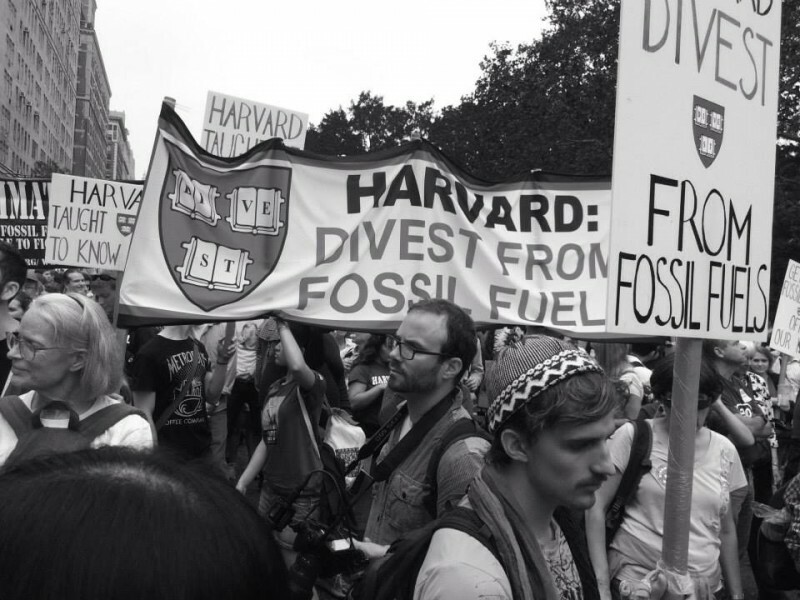 This one, called “How Divest Harvard Has Already Won,” was posted on the NuMundo blog. Check it out. April 10th, 2015, I am writing this post from a blockade in Harvard Yard, sitting in front of the main door to Massachusetts Hall (Mass Hall) where President Drew Faust and Harvard administrators have their offices. I began blockading at 6:45 a.m. this morning along with over 20 other students from Divest Harvard. We call on Harvard to divest its endowment from fossil fuel companies, and we’re also calling attention to the fact that Harvard just hired a former fossil fuel executive as its new CFO and Treasurer. As long as Harvard aligns itself with the fossil fuel industry, Divest Harvard will continue to disrupt business-as-usual. 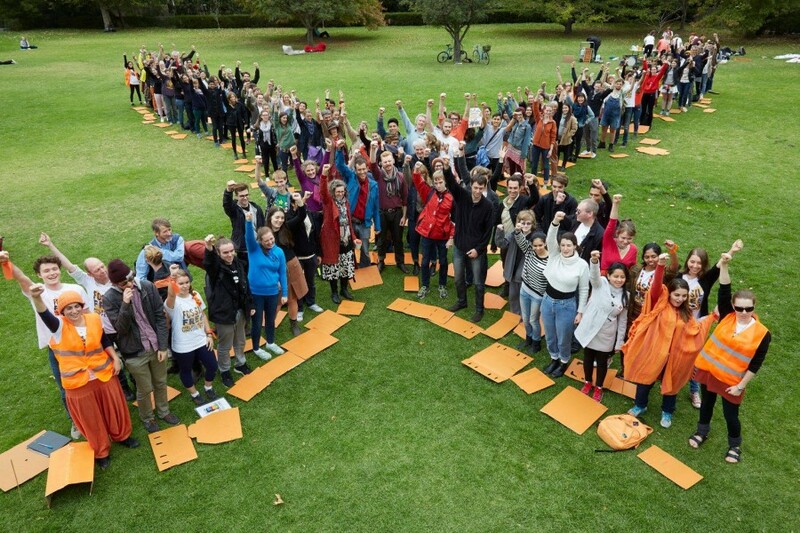 In case you haven’t heard of the fossil fuel divestment, here’s the quick background. The movement arose out of a deep frustration with politics. Governments in the US and around the world have failed to address the growing urgency of the climate crisis. Why? Because of a lack of grassroots pressure and the overwhelming influence of the fossil fuel industry. Divestment aims to remedy this situation. Everyone is part of at least one institution that has something to divest, setting the stage for broad-based action. And, by divesting, the movement aims to stigmatize the fossil fuel industry and reduce its political influence. We also use divestment to highlight the destructive oppressive structures that the fossil fuel industry perpetuates, especially in marginalized communities that have contributed the least to the climate crisis. This is the fourth civil disobedience (CD) action that I’ve done at Harvard. I started the campaign in the Fall of 2012 and have devoted my life to building this movement on campus and off. After years of dead-end meetings, rallies, forums, teach-ins, education, debate, and dead-end dialogue, Divest Harvard began to escalate. Last year, we organized our first CD action, which was also a blockade of Mass Hall. One student was arrested—the first arrest of the fossil fuel divestment movement. In February 2015, we staged a 24-hour sit-in inside Mass Hall. In April 2015, Divest Harvard organized Harvard Heat Week, a week of action and civil disobedience on campus where alumni, faculty, students, staff, and community came together in an unprecedented show of support for divestment. And then there’s today. We blockaded again to show our quick mobilizing power and protest the hiring of a former energy executive as the CFO of the University. The main lessons that I’ve learned from CD at Harvard is: to expose power, you have to confront power. And this is what our civil disobedience actions have done. We have been able to show how Harvard would rather align itself with the fossil fuel industry rather than engage in meaningful discussion towards divestment with its students, faculty, and alumni. The administration flees from buildings, working from cafes and make-shift offices while we shut down its buildings. 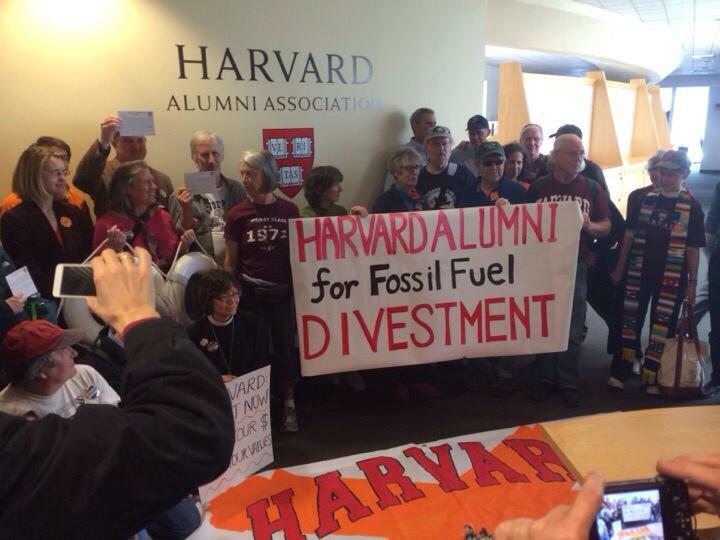 Still, I think that Divest Harvard has won. Here’s why. We push Harvard to divest for many reasons, but the one of the main rationales—as mentioned—is to create cultural stigma around the fossil fuel industry, highlighting its anti-social behavior and role in corporate capture of our government. And one of the reasons why I think that Harvard must divest is because its version of the status quo is the climate crisis. It is how the fossil fuel industry behaves. Yet, ironically, Harvard is stigmatizing itself. Our administration’s response to the campaign has become a beacon for how not to engage with student activists. Harvard’s intransigence, inane arguments, and cowardly hypocrisy are known worldwide. 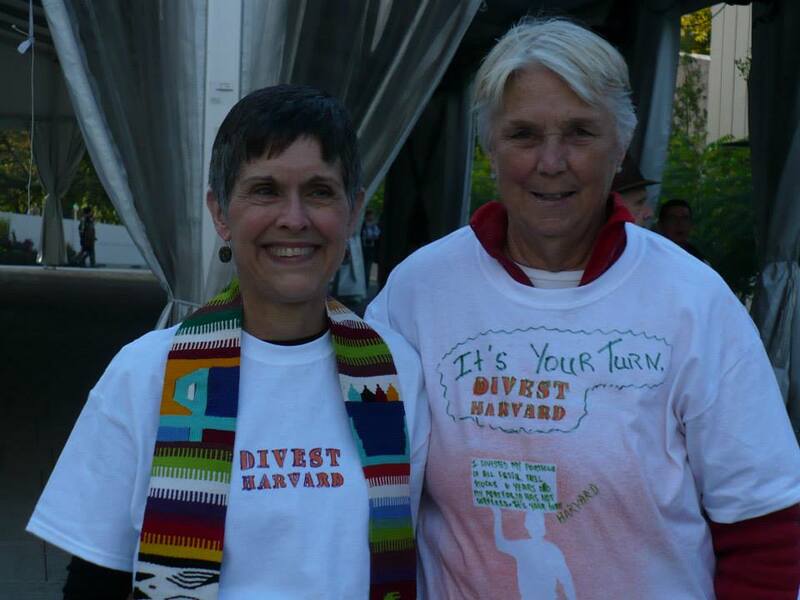 Almost every article on divestment mentions Divest Harvard or our President, Drew Faust, in some capacity. No one wants to become Harvard. Would anyone want that kind of pressure brought down on them everyday? And if Harvard is itself stigmatized—and if Harvard represents the fossil fuel industry—then Divest Harvard has successes in creating a cultural stigma around business-as-usual. Secondly, I have become acutely aware of the ways in which the climate movement perpetuates the very structures that we’re fighting against. From the lack of diversity to a lack of empathy—sometimes a movement can be self-defeating. That is why I advocate for activists to live the values that we preach. Instead of waiting for a just future, we must create a just now. That is the only way that we can fix broken systems and see, model, interact with, and understand a different way of being. This is what Divest Harvard does. We strive to be an inclusive, welcoming, democratic group where all voices are equally heard, validated, and respected. We make decisions together. We listen whenever one person has doubts. We are empathic towards the Harvard Corporation and those whose theories of change differ from ours. We are modeling the world that we think is just. The story of Divest Harvard is the story of a group of students that continue to mobilize in the face of staunch institutional intransigence. We have won in symbolic ways, and we will soon win when Harvard commits to divestment. Until that day, we keep keep shaking the pillars of the status quo. And we display a different kind of power.